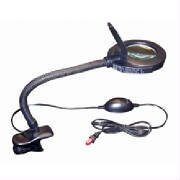 Use the buying guide to shop our store for workbench magnifier with light, workbench light with magnifying glass, led workbench magnifying glass with light, magnifying work light and led workbench magnifying lamp that will help with your small detail work for long periods of time without eye strain. 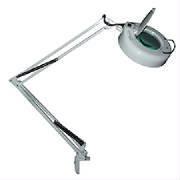 We stock magnifying lamps for shop work, magnifying glass for workstation, clamp on workstation magnifying lamp and magnifying workbench light with magnifying glass for shop work. These workbench magnifying glasses are perfect for various crafts. Available in 6 powers. What workbench magnifier power do I need? Workbench magnifiers are available in many powers.The higher the power the smaller the field of view and the closer the work distance. For best workbench magnifying glass magnifier results wear your glasses. 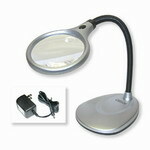 Lighted or non-lighted workbench magnifying glass. For best workbench magnifying glass results adequate lighting is essential. 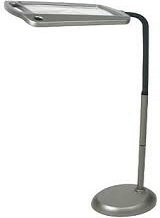 Our workbench magnifying glass with light, lighted magnifying glass for workbench, workbench magnifying lamp and workbench magnifier with light have led or fluorescent bulbs. 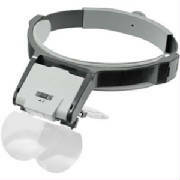 Clamp-on Bench Magnifier- This type of bench magnifier will clamp on to the edge of your workbench, desk or table. 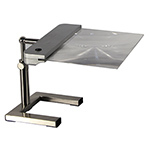 Table Top or Desktop Bench Magnifier- This type of bench magnifier sits on your workbench, table or desk. 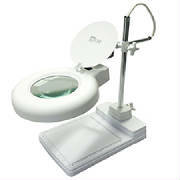 Free Standing Floor Bench Magnifying Glass- Stand alone workbench magnifying glass with floor base. 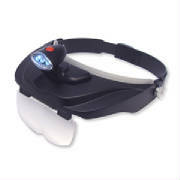 Clip on magnification models will clip-on to most frames and are light weight. 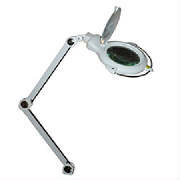 All workbench magnifier models flip up and are available in several powers. Can be worn with eyeglasses or safety glasses. Padded leather headband for user comfort. Interchangeable binocular lens plates. Tilts when magnification is not needed. 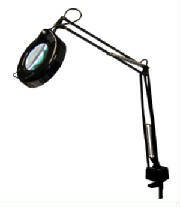 Workbench magnifier lamp models for close work. POSTAGE SPECIAL: Pay $8.00 postage for first item ordered. Free postage on all your next items. You may mix and match. Your postage will always be $8.00 per order(Domestic orders only). What type magnifier is best? Hand held magnifiers are best for short duration use and a magnifying lamp or hands free magnifier with stand are best for long duration use.